As you may know, if you read my blog I really do despise the foxy locks hair extensions. I had my old hair extensions; that weren't even 100% human hair for just over a year! 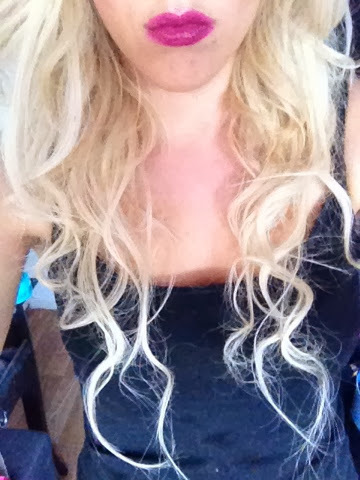 However, after 4months the foxy locks extensions are getting to the point where they are unwearable..... Which really annoys me because of how much I paid for them, as they're not the cheapest out there. After foxy locks saying the shedding would subside within a week it hasn't if anything it has gotten worse as time has gone on. I've never had any other extensions like this in all the time I've worn them (about 4/5 years) nor had I ever even heard of shedding problems until these. 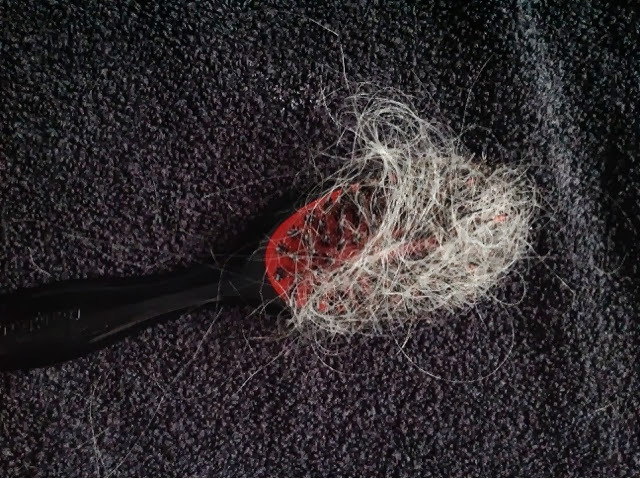 This is or was one of the 2 weft strands. 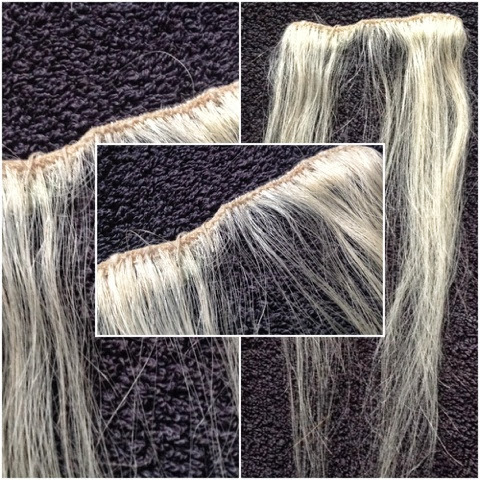 After just four months it awful, thinning ends and loose hair at the stitching, the stitching is also really loose (probably the cause of the shedding). 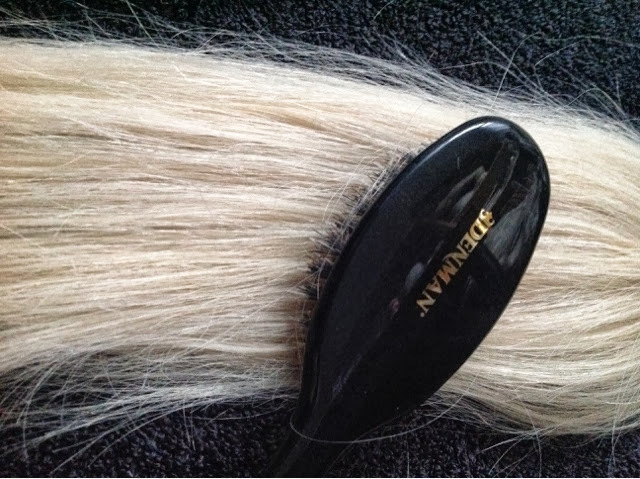 This is it placed next too one of the thicker 1 weft strands, here you can tell the real difference of the shedding. One thing that does help them too look thicker is brushing them with a Denman D81 brush instead of a paddle brush, extension brush or a wide tooth comb. With this brush I find that it doesn't shed as much. Before I'd literally have hair balls on the comb or brush, however I still get balls of hair now but not to the same extent as before (see photo below). I always brush them gently from the bottom upwards, I also have a hair styling qualification in which one module was solely on hair additions, so I know how to look after hair extensions properly. However, you can't constantly brush them, and after a while of wearing them the 'thick' brushed look soon fades to stragly extensions. They shed even when I touch them, I literally leave a trail blonde hairs wherever I go! Another problem I have with them is matting, knotting and tangling. When wearing them after so long they tend to get all matted and tangled at the back - which is an awful problem when trying to remove them at the end of the day as they tangle with your own hair ouch! As you can see my non human hair extensions lasted extremely well. Photo above is not at all edited and has been taken with an ipad. The lipstick in the photo above is mac rebel! As you can see the effects of the shedding has worsened causing them to go thinner, much thinner than my natural hair at the top and, the ends are really thin and straggly and well just not nice at all really. 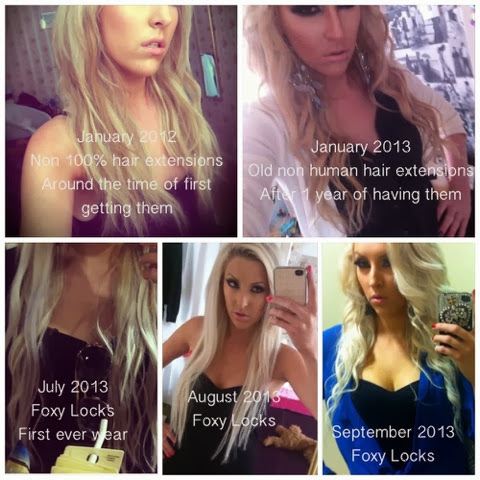 I will never again purchase extensions from Foxy Locks and I can't wait to buy some new ones! The shedding of these is unreal! I recently purchased some, dreading it now.